The current weather conditions are anti-outdoor adventure, and more eat yourself to death. 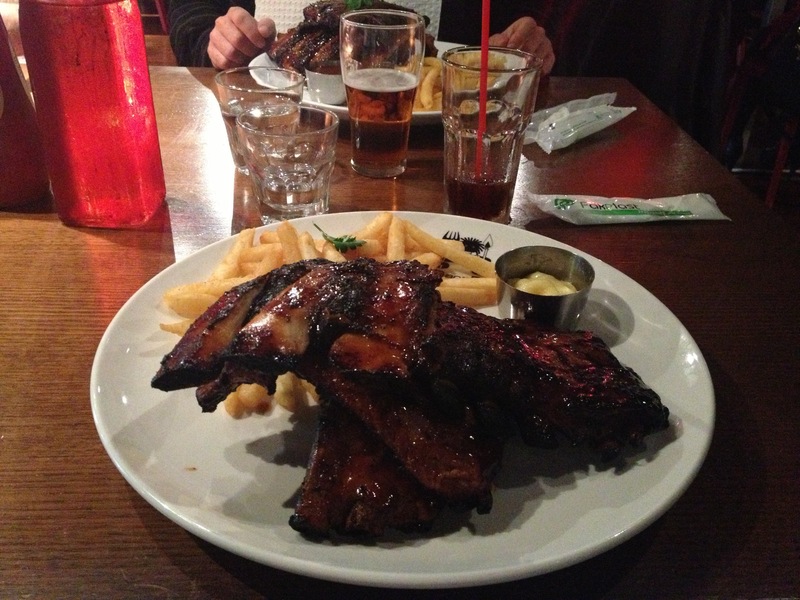 With a visit to Ribs & Rumps in Fortitude Valley, that’s what we did. Don’t ask me why I though getting pork, lamb AND beef ribs would be a good idea. I barely got through one rack without my mouth physically trying to spit out what I was putting in. Although delicious, I think I should have ordered a side salad to tone down the meat and fries fest. The boys were off to a flying start. 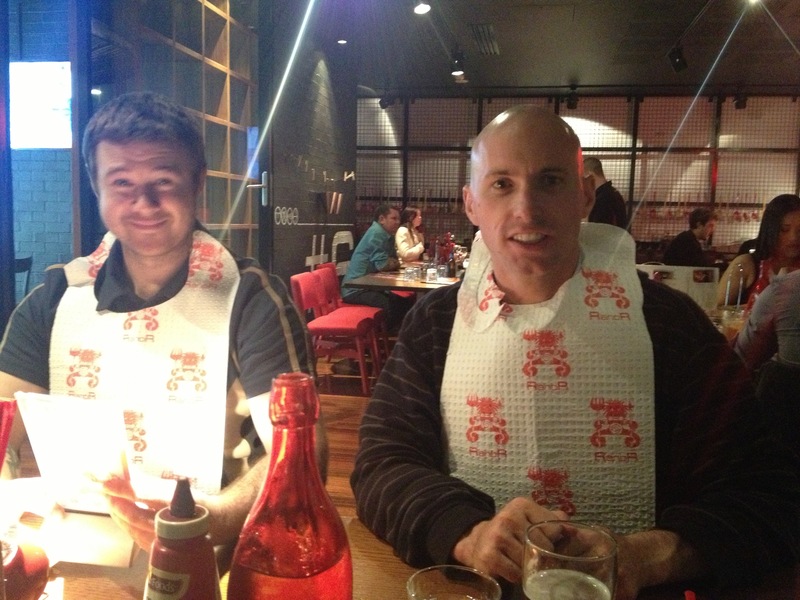 All prepared with their bibs on. Ryan squared did really well, until they both had about half a rack to go. Their eyes glazed over. They stomachs poked out. They drooped down into their chairs. Their legs went numb. Each mouthful was chewed and swallowed much slower than the previous. I actually thought I would see a real life food coma x 2. They made it through. And that’s when the girls decided looking at the dessert menu might be a good idea. Ryan squared looked on in horror as the waitress brought out not a written menu, but a visual display of desserts. Now that’s the way to upsell. We could not resist. 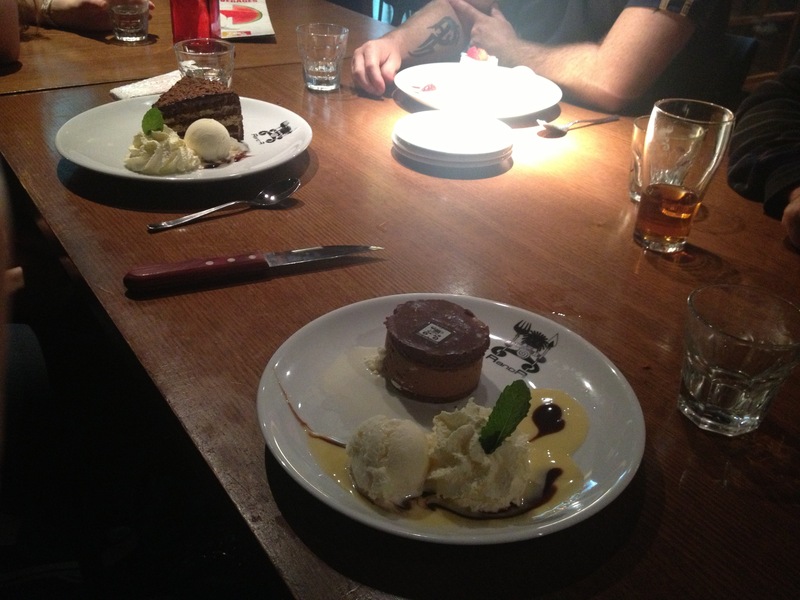 I can’t believe we actually had dessert!! This outing resulted in Ryan having meatmares and me considering turning vegetarian. Come on weather, please let us out and save us turning into something that looks like Mr Stay Puft. Haha I’m not having any more ribs for a while! !